Blog - Optimizing Your Nutrition: Raw vs. Roasted Chocolate - Which One Is Best? Optimizing Your Nutrition: Raw vs. Roasted Chocolate - Which One Is Best? Several decades ago, in what now seems like some form of dark age, chocolate was categorized as candy: something loaded with sugar and devoid of nutritional value. A treat to be enjoyed sparingly. But luckily our relationship with chocolate has come a long way. We now know that it's not the chocolate itself that's inherently unhealthy – it's the ingredients used and the processing methods that play a critical role in defining whether chocolate is friend or foe. In fact, chocolate, if made right, can be an actual superfood with immense health benefits. No chocolate could exist without the cacao bean – a seed that is found within a colorful pod-shaped fruit native to the Americas. It is these beans that are harvested, dried and processed to become the chocolate products we all know and love. Cacao itself is a true superfood, offering a wealth of phytonutrients, such as powerful flavonoids, that can help slow the aging process, give the skin a vibrant glow, and do wonders for our brain and cardiovascular health. Cacao is one of the most chemically complex foods on earth – containing over 300 various compounds which interact with our own biochemistry in a number of ways. If you're grabbing a more conventionally produced chocolate bar, you can guarantee that it has been highly processed, and exposed to substantial heat during the drying and roasting process. However, truly raw chocolate is crafted in such a way that actually preserves vital nutrition, and honors the essence of the cacao plant itself. Think of fresh fruits, vegetables, nuts and seeds. We all know that eating these foods as close to nature as possible and without additives is most ideal. The fresher, and less processed our diet is, the more nourished we become, and we experience better health because of it. Eating that handful of fresh, ripe blueberries bursting with antioxidants will forever be better than eating the processed blueberry jam which has been pasteurized and is full of refined sugar. Chocolate is no different. While many chocolate companies will claim that their product is a good source of antioxidants just because it's labelled "dark", the harsh heat involved in the standard roasting process (where temperatures can reach upwards of 300 degrees F) will utterly destroy the more heat sensitive-compounds - such as valuable polyphenol antioxidants. Dutch processed cocoa takes an additional step of processing: it involves both heat + an alkalizing agent to alter the pH. Cacao itself is actually one of the richest sources of antioxidants on the planet. Our bodies thrive when we are ingesting adequate antioxidant compounds from a variety of food sources – they help slow the aging process, prevent free radical damage, reduce overall inflammation in the body, and strengthen the immune system. 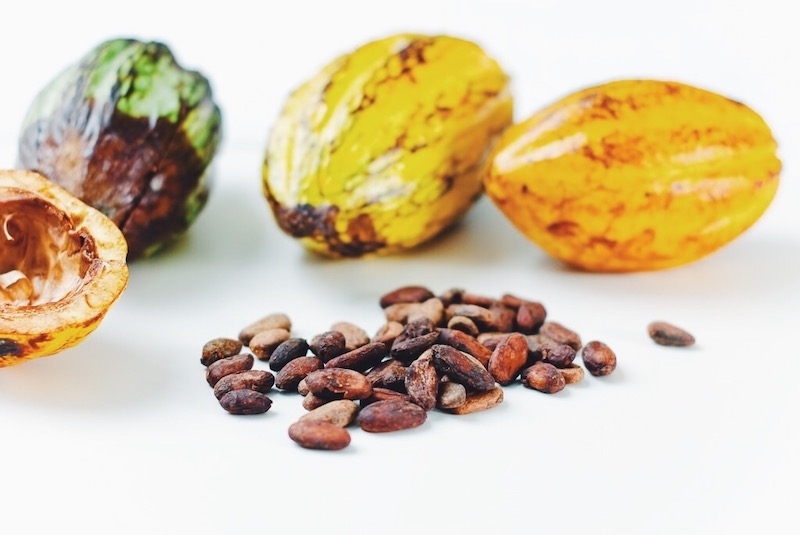 Cacao is also an incredible source of trace minerals such as iron, zinc, magnesium, sulfur and copper, as well as Vitamin C. Cacao's magnesium content in particular is a noteworthy asset - it contains around 420 mg per cup - which is one of the highest sources of plant-based magnesium known to man. Modern studies have shown that most Americans have suboptimal levels of magnesium in their diet. This mineral seems to play a role in pretty much everything: it is vital for cardiovascular, muscle, and bone health, and also helps our bodies better handle stress. It is a calming and relaxing mineral. Sulfur is another nutrient we don't often get enough of. It is a beauty mineral, known for helping to smooth and soften the skin, fight bacterial infection, and strengthen hair and nails. 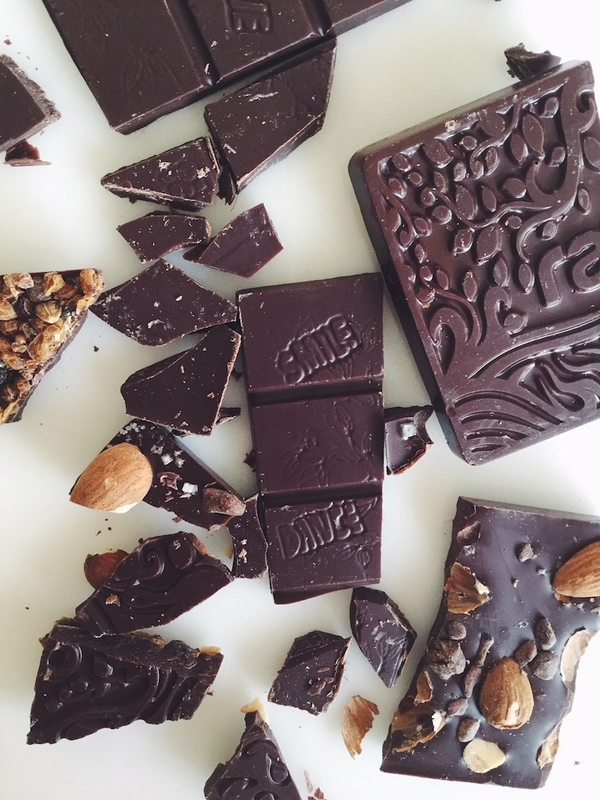 This absolute treasure trove of superfood goodness can be contained within a bar of delicious, decadent chocolate, that is if it hasn't been processed away. Heat can also degrade and alter the chemical structure of the more subtle brain and mood-boosting compounds within cacao. Cacao contains an endocannabinoid known as anandamide, otherwise known as the “bliss molecule". It is very similar in chemical makeup to THC, the main psychoactive cannabinoid within marijuana responsible for the plant's "high". However, there is one major difference: our body actually produces anadamide on its own. Infact within the human body there is an entire biological system inplace called the endocannibinoid system - where endocannibinoids like anadamide bind with cannibinoid receptors to affect the central nervous system in a myriad of ways. The bliss really is within - and it's in your bar of raw chocolate too! Phenethylamine (or PEA for short) is another compound within cacao which has been associated with feelings of love and belonging. And you guessed it, science can explain this phenomenon as well. This special alkaloid actually stimulates dopamine and serotonin production within the brain, giving those that consume it a hit of the same delicious feelings associated with falling, or being, in love. Another alkaloid known as theobromine is a stimulant that boosts energy levels and improves mental alertness. It also relaxes smooth muscles (such as the lining of blood vessels and arteries) which can help decrease blood pressure and encourage healthy blood circulation. The vasodilating nature of theobromine also makes raw chocolate an excellent carrier for other more medicinal or functional ingredients, helping drive them deeper into the body, help improve their absorption, and improve overall bioavailability. Aside from nutrition, low temperature processing methods also help to preserve the complexity of flavor inherent in cacao beans. Like coffee or wine, chocolate can have a high degree of flavor nuances, and you don't have to be a chocolate connoisseur to notice them. Aside from how the cacao is processed, the region of the world which the beans are grown can effect the flavor profile. Mineral content in the soil, as well as growing conditions all come into play. From fruity, to nutty, with hints of berries, vanilla, or coffee, many different flavor notes can be detected. Conventionally made chocolate tends to have one main flavor that dominates due to the roasting process. Of course, flavor preference is an individual thing, but raw chocolate does provide the taste buds with a little extra adventure. 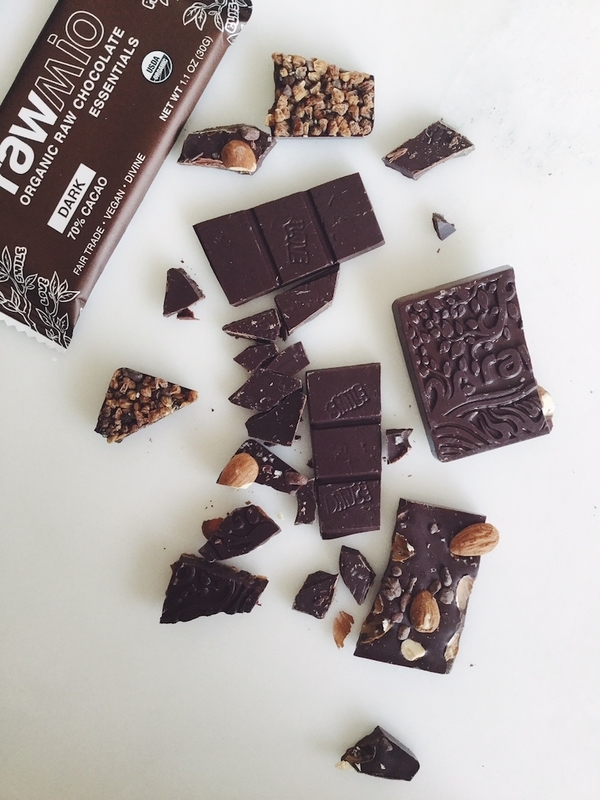 If you're looking to get maximum health benefits from your chocolate, stick with raw (at least the majority of the time...) Nothing beats that feeling of having it all: fueling your body with superfood nutrition while at the same time indulging (guilt-free!) in one of your favorite treats. Try eating a roasted chocolate product vs. raw cacao nibs, or raw chocolate, and note the way you feel after wards. There's nothing like getting to experience the difference between the two within your own body, mind, and soul. At Windy City Organics we are committed to low temperature processing methods and fresh, ultra-high quality raw ingredients. Check out our product lines HERE. If interested in ordering retail please head HERE.